** SEE VIDEO BELOW ** Ask us about Automation Options! New Accurshear owners are singularly generous in their praise of this outstanding technological advancement in shearing technology. 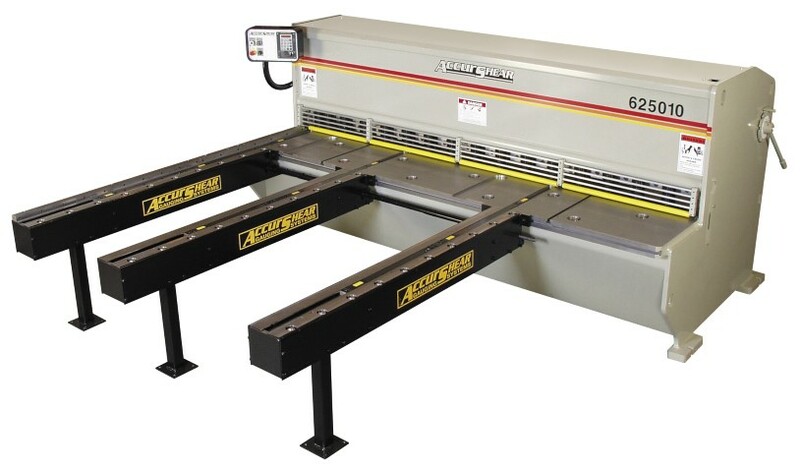 Accurshear consistently scores "very satisfied" for customer satisfaction, reliability, and on-the-job performance. 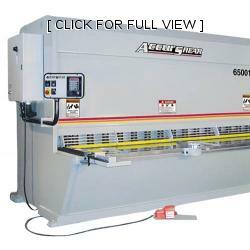 Accurshears are heavy, durable machines with low rake angles, and fast cycle times. 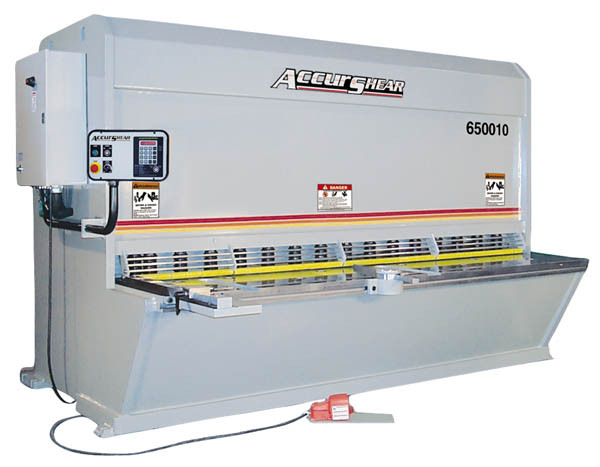 The Accurshear series includes the precision, ten gauge, six foot shear, that cycles up to 40 full strokes a minute... and a powerful quarter inch by 12 foot shear weighing 21,000 pounds capable of 20 full strokes per minute. Additional standard features include a 4-edge blade, a power-operated backgauge with pre-select position, a 4 foot squaring arm, a shadow light, adjustable stroke length, plus a variety of hand and foot controls. The new MR control provides you with the most CNC features of any machine on the market. And all the buttons are on the front console station, giving you fingertip control over each function. 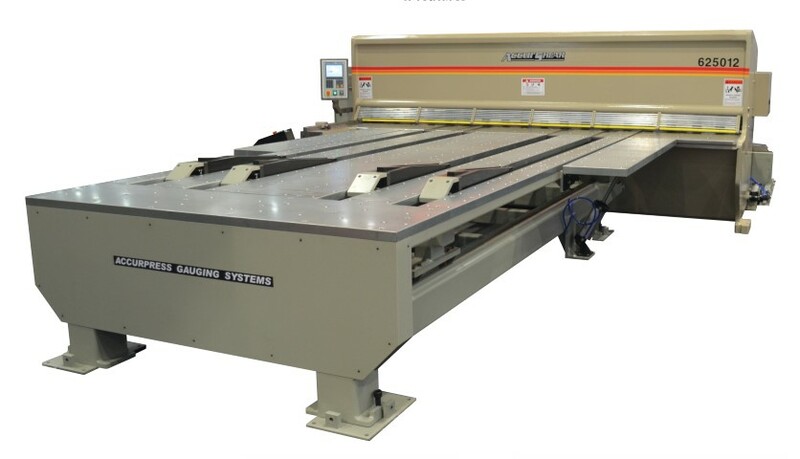 Adding the Accurshear CNC Frontgauge system will provide a substantial enhancement in productivity. Take a moment now to consider all these feature and options, and customize an Accurhsear that exactly fits the unique needs of your shop. A wise decision today can save you substantial time and money in the future. Learn more about Accurshear products.